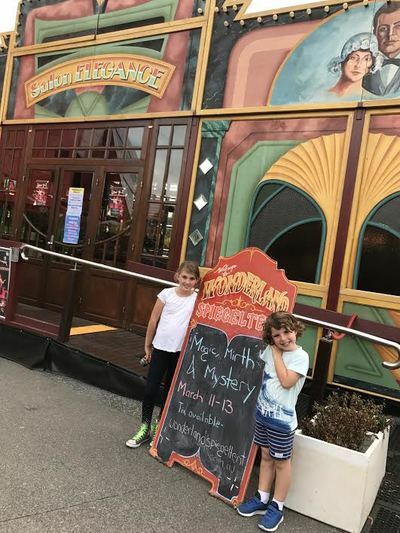 I woke the kids up nice and early this morning and hopped onto the train to catch the 11:30 showing of Magic, Mirth and Mystery at Docklands. Advertised as a fabulously dramatic, enchanting and visually dazzling family show, filled with comedy, character and magic galore, it sounded like a must see. Once we had steered the children past the mountains of fairy floss, and umpteen fairground rides without too many tantrums, we walked into the venue, ready to be amazed. We were immediately drawn in by the set; which made me believe we had walked into 1920’s Paris. There were stained glass windows, velvet drapes, and little tables and chairs set up as if we were to watch an old fashioned cabaret. The performers captivated our imaginations with the mystical music, the smoke, the lovely costumes; they held everyone’s attention as they took us on a journey into a world of dreams and fantasies, like no other we had been on before. Magic, Mirth and Mystery is where the impossible is possible; things appear and disappear, tables float around the room (you better believe it!) and the magician known as Vegas walks around the audience plucking dreams from their minds and gathers them in a bag. It’s true, we saw it with our own eyes. 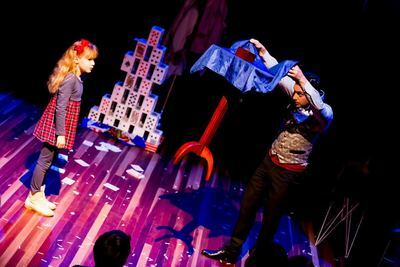 If your little ones like laughing, magic and mayhem as much as mine do, then you really have to grab some tickets before the weekend is over! The music is fab, the magic is pretty special and the interaction with all of the children really made everyone’s day. Poppy still keeps shaking her arm hoping more money will come out of her elbow. Madotti and Vegas are beautiful, very clever and truly took our breath away. It’s no surprise they have been so successful in Hong Kong, Japan, New Zealand and Australia. Show and Rides Only Wristband: This option is only available online. This option is valid for 1 x General Admission Ticket to the Show and a 3 hour Unlimited Rides Wristband. All inclusions must be used on the same day and the patron must choose a wristband time frame upon arrival. The times are 11am - 2pm OR 2pm - 5pm these times and inclusions are non-refundable and non-negotiable. Six rides will be available; Carousel, Tea Cups, Dodgem Cars, Mini Swing Ride, Inflatable and Rockin' Tug. 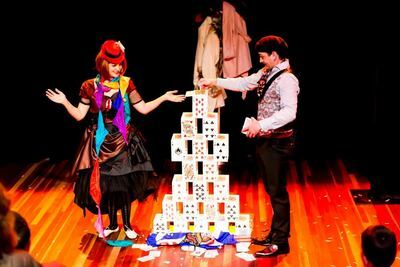 When: 'Magic, Mirth & Mystery' is being performed LIVE in the Wonderland Spiegeltent on 12 and 13 March at 11:30am.